[Nashua Area Radio Club] is now placing marked-up copies of QST in waiting areas or rooms within the greater Nashua area. These copies are designed to appeal to anyone that may be interested in obtaining a ham radio license. NARC needs back issues of QST for this magazine campaign. If you have 2003 thru 2005 issues that you will not be saving, please donate them. Your mailing info on the front cover will be marked out and covered by a label. Please do not cut the front cover. Please bring issues to the upcoming monthly meeting this Monday. If you cannot be there, call 603/943-1512 or email . 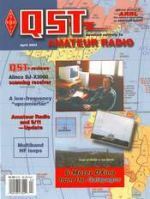 The issues of QST will be picked up. Thanks for your help. KM1D hopes to have his tower back up after some ground work to his yard. Members of the Nashoba Valley Amateur Radio Club participated in their first highway cleanup of 2005 on April 10th. The group collected a total of 21 bags of trash. Those helping were: John, KB1HDO; Peter, N1ZRG; Linda, N1UPR; Larry, KB1ESR; Jim, AA1PO; Earl, WR1Y; Ralph, KD1SM; Stan, KD1LE; Gary, K1YTS; Nancy, KB1KEF; Peter, N1ZRG; and John, KB1HDO. The Nashoba Valley ARC is registered with both MassHighways and the Town of Groton for road cleanups. The club’s next cleanup is scheduled for May 22, 2005. We are canceling the scouting program left and right. There is no way that JC, Pi, or myself can sit there by ourselves. We can not handle the crowd and run the radios to give the scouts a demonstration. An optimal presentation requires at least four persons. April 30th has no one signed up. I want to take my vacation and I’m headed for New York State. We have one person signed up for May 7th to do the Morse Code demo, but I do not have anyone to help me in Radio Room 5. Pi is covering the May 14th date. He needs help from someone. Please email me at who_icrr@adelphia.net or call me at 781-857-0125 to help out. Thanks. Barbara Dougan, KB1GSO, a National Park Service employee and the club’s QSL Manager, will activate KM1CC. She needs additional operators, according to Robert “Whitey” Doherty, K1VV. Dougan has two complete stations set up. She needs both CW and phone operators for the event. The station is situated at the National Park Service at Cape Cod National Seashore, on the former site of the U.S. Coast Guard station at Coast Guard Beach in Eastham, Massachusetts. The Marconi Radio Club will operate W1AA/MSC, representing the 1901 Marconi Nantucket ship-to-shore station for International Marconi Day, April 23, 2005. 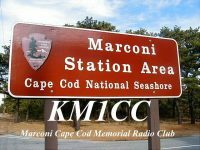 “The operation will be on CW only–the only mode used at the Marconi station MSC on Nantucket Island,” writes club president Robert “Whitey” Doherty, K1VV. DX stations contacting W1AA may QSL via the W1 bureau, while W/K QSLs should be sent direct to W1AA’s callbook or QRZ.com address. Self-addressed, stamped envelopes are requested. Constructed in 1901, MSC communicated with the Nantucket Shoals lightship 50 miles southeast, and also with ocean-going steamers. MSC was instrumental in saving numerous lives following a collision between two steamers–the Florida and the Republic–in a dense fog 70 miles south of the island in 1908. For further information about operating in the IMD event, please visit http://www.gb4imd.co.uk/operatio.htm. “If someone would like to build a tower taller than 100 feet or would like more antennas, they can apply for a special permit,” said Dore’ Hunter, Chairman of the Board of Selectmen. 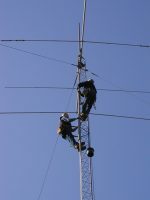 An alternative amendment, known as Article 25A would have set no height limits on Amateur Radio towers. It was defeated. The Framingham Amateur Radio Association is now accepting nominations for the FARA Scholarship. Applicants receive points for attending monthly meetings, license classes, and general club activities including: shack nights, picnic, field day, and flea market. Applicants must remain active as a ham in FARA (vacations and breaks) and their school’s club, if the school has one. Preference will be given to graduating high school seniors. The deadline date for submissions is May 15, 2005. For more information, contact Richard Cosma, AA1VI, at (508) 877 8241 or visit http://www.fara.org/scholarship.html. The March, 2005 EMA traffic net and Public Service Honor Roll totals have been posted to http://nts.ema.arrl.org under “Main Menu | STM Monthly Report“. The Massachusetts Bay Chapter of the American Red Cross has requested Eastern MA ARES to assist in the Operation Atlas-Boston Logan Airport Drill on May 7, 2005. The drill is being conducted by the Department of Homeland Security. Taunton-area volunteers participated in a three-night American Red Cross course that included Introduction to Disaster Services, Mass Care—An Overview, and Shelter Management. The classes were sponsored by Rick Ferreira, KB1KWF, who is the Director of the Taunton Emergency Management Agency. They were conducted by Dawn Snow from the American Red Cross. Several Amateur Radio operators—including six Whitman ARC members—attended the courses: Peter Ferreira, KB1LZG; Bruce Hayden, NI1X; Carlos Wharton, WP4US; Neal Harrington, KB1LXL; Don Burke, KB1LXH; Rick Ferreira, KB1KWF; Rudy Burer, KB1LXI; George Pereira, KB1KZV; Barbara Foster, KB1KZX and Steven Foster, KB1KZW. Providing backup, emergency communication from the Taunton Emergency Operations Center during shelter activation was of particular interest to the amateurs in attendence. The ARRL and the American Red Cross maintain a Memorandum of Understanding at the national level. We need to hear from people about volunteering on the ship for our Scouting program. I need volunteers to schedule for any Saturday during the next two months. 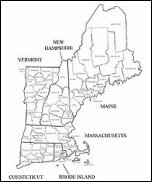 The fourth New England QSO Party will be held on May 7-8, 2005. It’s a great operating event and it is easy to participate in. The object is to contact as many New England stations in as many New England counties as possible on 80, 40, 20, 15, and 10 meters. Join in the fun—at least for a short period of time to make some QSOs. The full set of rules, suggested frequencies, maps, awards and related tools can be found at http://www.neqp.org. ….Eastern Massachusetts ARES Assistance Requested by the Massachusetts Bay Red Cross for the Operation Atlas Boston Logan Airport Drill…. ….Drill Rescheduled for Saturday June 4th, 2005 with the same timeline to be utilized. A backup date of Sunday June 5th, 2005 has already been defined as well…. The Operation Atlas, Boston Logan Airport Drill, has been rescheduled for Saturday June 4th with the same timeline to be utilized by Massachusets By Red Cross. A backup date of Sunday June 5th has also been designed in case of weather issues on Saturday June 4th. The Red Cross has defined their timeline and we had 10-20 Amateurs assigned for this exercise for the orignial date, however, given the new rescheduled date of June 4th, we may need different Amateurs to step forward in case the ones previously assigned cannot make the new data. In particular, we are looking for Hams in the Metro Boston area to provide additional support for the drill. The Massachusetts Bay Red Cross Chapter has requested Eastern Massachusetts ARES to assist in the Operation Atlas-Boston Logan Airport Drill. This drill is being conducted by the Department of Homeland Security and the Red Cross has a role in the drill to provide a Disaster Mental Health Services Team, Mass. Care Team, and will have their Boston and Waltham offices active for this exercise. The Red Cross has requested communications assistance from Eastern Massachusetts ARES for this drill. Currently, we are anticipating a need for approximately 15-20 Amateurs. The town of Bridgewater EOC will be setup as a Net Control center similar to what was done for the Democratic National Convention. Amateurs will be needed at the Waltham and Boston Red Cross chapters and several Amateurs will be needed on “Go” teams that will be going into the city or to the airport itself. Home stations will also be needed for this exercise. This is the first major drill that we have participated in with Red Cross since the Democratic National Convention. While not as large as the TOPOFF exercise just completed in Connecticut, the Department of Homeland Security is running the Operation Atlas-Logan Airport Drill and all eyes will be on the performance of Amateur Radio during this drill. It is widely known through several federal government agencies of the tremendous effort that the ARES/RACES/SKYWARN and MARS operators played during the Democratic National Convention and this is an opportunity to prove that the high level of organization that existed last year has been sustained since the DNC by a strong performance in this exercise. Please contact your DEC or myself if you’re interested in participating in this exercise. Please note that deployments to the Red Cross and as go teams for the Red Cross will have requirements set forth by our ARES staff. For Net Control duties in Bridgewater, please contact Carl Aveni-N1FY at caave@peoplepc.com or myself. This is a worthwhile event to practice deployment skills not utilized since the Democratic National Convention. Also, remember that in this drill, much like a real emergency communications situation, unexpected things may happen so remember one of the most important aspects to supporting a drill or real emergency communications situation, Blessed are the flexible for they will not get bent out of shape. This announcement will be updated again as further information becomes available. About 16 members of the Algonquin Amateur Radio Club recently completed CERT training sponsored by Marlborough Emergency Management Agency. The class was very interesting and much was learned. A special thanks goes out to Don Cusson, EMA Director, for putting on the course for the members. The Nashoba Valley Amateur Radio Club has begun sponsoring the Worked All Massachusetts Counties Award. The Club’s main page is http://www.n1nc.org and a direct link to the award page is http://www.n1nc.org/WAMC/WAMC.htm. The Award was timed to coincide with the 2005 New England QSO Party. It has a lot of support from Tom Frenaye, K1KI, who has posted a link on the NEQP page. Ted Malinosky, K1BV, has also shown support, and hopes to include the club in his July column in CQ Amateur Radio Magazine. The club has put alot of hard work on this award. For more information, contact John Griswold, KB1HDO, at KB1HDO@verizon.net. Amateur Radio Emergency Service (ARES) volunteers in Connecticut in this week’s massive TOPOFF 3 exercise drew high praise from the American Red Cross, as reported on the ARRL Web’s on-line article, High Praise for Amateur Radio Follows ARES’ TOPOFF 3 Performance. Augmenting the Connecticut ARES volunteers were several ARES members from Eastern MA, including Section Manager Mike Neilsen, W1MPN. ARRL Connecticut SM Betsey Doane, K1EIC (left), and Eastern Massachusetts SM Mike Neilsen, W1MPN, interviewed by a newspaper reporter from Norwich. Two local college radio clubs–the MIT Radio Society and the Harvard Wireless Club–received mention in Surfin’: About the Old: College Radio Clubs and Surfin’: Continuing College Clubs Recollections published on April 1 and April 8. The stories, written by Stan Horzepa, WA1LOU, a regular contributor, look at web sites dedicated to the history of Amateur Radio clubs at institutions of higher learning. They carried links to the two clubs’ respective historical archives. The Walpole Emergency Management Agency is offering a CERT training course April 19-21, 2005. CERT Training Program to Begin April 19th, 2005 in Walpole, Mass. The instructors for this program will be Philip Dubois, EMT, CPR and National Safety Council Instructor; Steve Smith, Captain, Walpole Fire Department, Fred Leland, Lieutenant, Walpole Police Department and other guest speakers. Roger Turner-W1ZSA, Walpole EMA Director is the course coordinator. This course is made possible with the assistance of a Massachusetts Home Land Security, Region 5, Citizen Corps, CERT grant. Amateur Radio Technician Class licensing course will be offered during the summer and other programs are in the planning stages. For more information about Citizen Corps, go to http://www.citizencorps.com/ or contact Roger Turner-W1ZSA at 508-660-7365.